Whether you need ten copies or 10,000, single- or double-sided, in color or black and white, we have the equipment and experience to get your job done right and on time. We also offer a variety of paper weights and sizes to suit any job. Your job on time, within budget and always with the highest quality. If you need printing in Allentown, Pennsylvania or in the surrounding area contact us today. 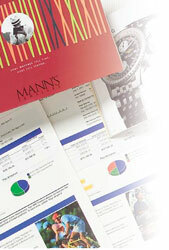 From business cards to multi-page brochures, we’re your digital printing provider!